Fantastic fashion is always topped off by great shoes. 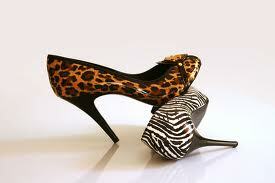 Just as we highlighted our favorite accessory brands, we must share some shoe faves as well. "Shoes are the fashionmark of every true fashionista" - V., J.D. Check out these sites to feed your shoe fetish! This site is the web domain for an upcoming documentary on the love so many have for shoes. There's clips from movie and shoes galore! God Save My Shoes is the first documentary film to explore the intimate relationship between women and shoes, questioning why shoes are the most seductive and addictive item in a woman’s closet and how shoes have become a totem object outshining all other fashion accessories. RWH hit the internet in December of 2007. The ultimate guide to all things fashion-forward in the shoe world, it was the brain child of Angela Kay and Morgan Williams, two self-professed shoe-lovers. Since then, RunningWithHeels.com has become the go-to spot for accessory lovers. As a part of the NY fashion scene its team of editors, writers and photographers travel the world to find the very best the industry has on offer. 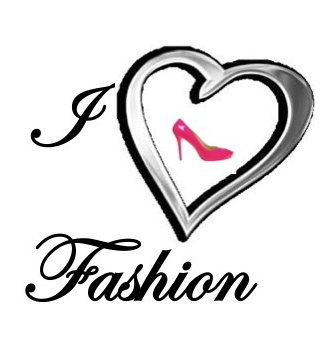 A site especially for the petite fashionista and the lady with little feet! Here, you can vote on shoe styles made for petite feet, share insights on design, and purchase shoes based on your feedback. So often petite women feel left out of the fashion scene, but this site offers a niche all its own! A shoe fanatic hailing from the University of Illinois at Urbana-Champaign...clearly she was a no-brainer in our book! Ms. Luvvie shares her addiction to shoes like no other, posting pics, links, and all the indulgence you need to make your bank account just a little more scared. We couldn't blog about fabulous shoes without spotlighting a shoe giver! We love giving shoes here at B.A.F.F.L.E.D., and are excited to share the passion with Shoe Craze. Shoe Craze, Inc. believes in “Shoeing It Forward”. For every 10 purchases, Shoe Craze, Inc. will donate a portion of all proceeds to women and children shelters in the USA. In addition, Shoe Craze, Inc. is an official sponsor of the Pink Wish Foundation, Inc.’s National Pink Pump Day.